A massive, late afternoon dust storm heads for Hunt's Mesa. 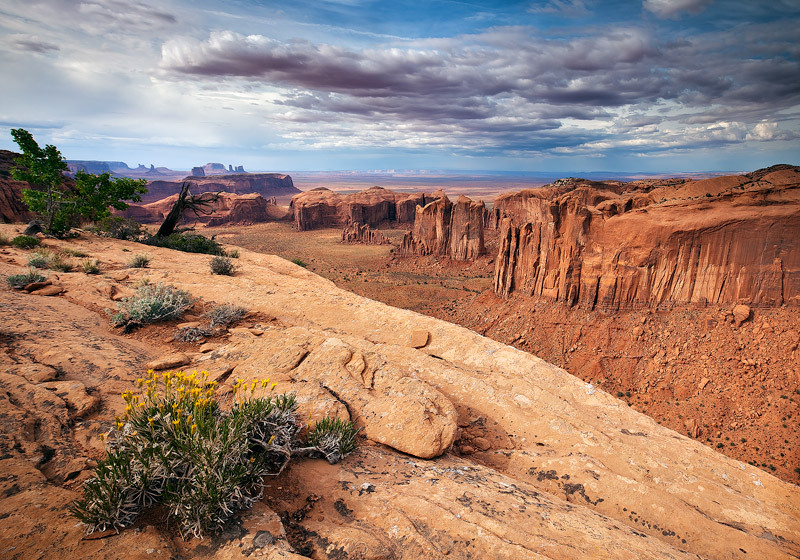 I witnessed this scene from a lower lying cliff surrounded by spring time vegetation on the Navajo Indian Reservation. Photo © copyright by Michael Greene.